MORGANTOWN, W.Va. (January 28, 2019) – The Rocky Mountain ATV/MC Fast Track Pre-Registration Program is now open for the first nine (9) rounds of the 45th AMSOIL Grand National Cross Country (GNCC) Series presented by Specialized, an AMA National Championship. The 2019 GNCC series kicks off in four weeks in Union, South Carolina, with the 23rd Annual VP Racing Fuels Big Buck GNCC on February 23 and 24. The series will then move to Florida and Georgia before making stops in six other states across the eastern half of the United States. Rocky Mountain ATV/MC has sponsored the pre-registration program for the past six years and will continue to provide racers who use the Fast Track Pre-Entry service with $20 worth of Race Gas Cash Credit for each and every event that is pre-registered for. When Race Gas Cash credits are earned, you’ll receive an email letting you know how much cash has been put into your account, what event you received it for, and the expiration of that credit. If you don’t have an account with Rocky Mountain ATV/MC, you’ll have the opportunity to do so through the email that is sent. 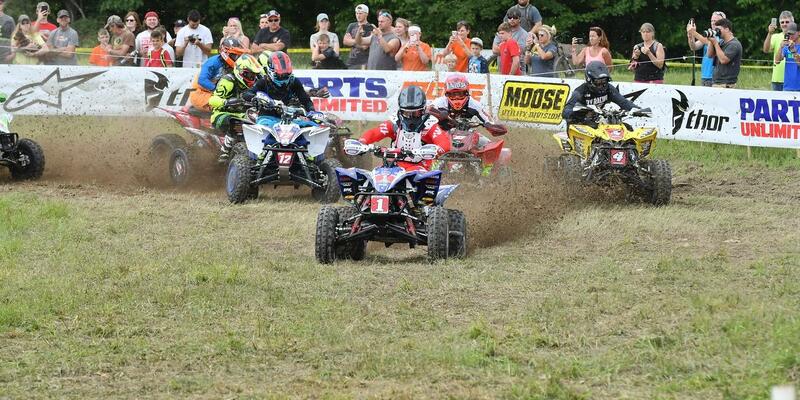 Last year, $174,100 was gifted back to GNCC racers from the Rocky Mountain ATV/MC Fast Track Pre-Registration Program. 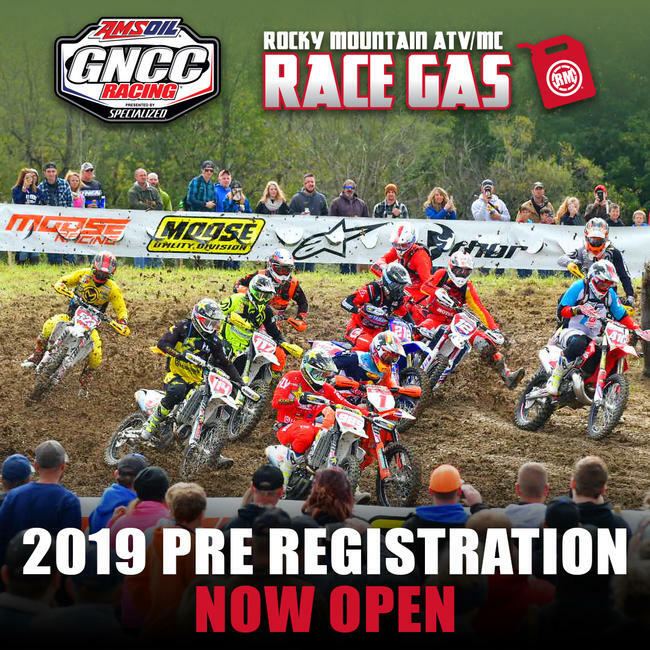 Click HERE to pre-register for any 2019 GNCC event.